Customers love mobile coupons. Not only do they offer opportunities to increase retail sales and offer a tangible benefit to the user in the form of savings, but recent statistics also show that the popularity of digital coupons is set to increase. There are estimated to be roughly 560 million mobile coupon users currently, and this number is likely to double by 2019. When consumers receive an email or mobile notification that contains a coupon, they are more likely to open the message and more likely to make a purchase, with 2014 figures showing that over 50% of the US population redeemed digital coupons both offline and online. In fact, according to Mobile Commerce Daily, almost all mobile users will search for a digital coupon during 2015 in order to find the best deals available. Innovative digital marketing campaigns are therefore a must for any store or business looking to increase sales and grow their brand. But how do you successfully incorporate mobile coupons into your online marketing strategy? Read on for Blue Star Direct Operations’ top tips for using mobile coupons to drive revenue. Mobile coupons can prove to be extremely versatile in terms of usage and the advantages they offer the consumer. It’s therefore important to get your objectives and strategy clear before you embark on any campaign. Some of the most popular promotions include ‘buy one, get one free’ promotions, which offer something free such as delivery and discounts. Mobile coupons sent via SMS typically have a redemption rate of over 10%. In order to make the most of this, it’s important to build as large an opt-in list as you can. This can be achieved through a mixture of marketing campaigns in online and offline stores, via social media, through blogs or by app download promotions. It’s important to understand who your market is, and also the right time to be sending them a message. 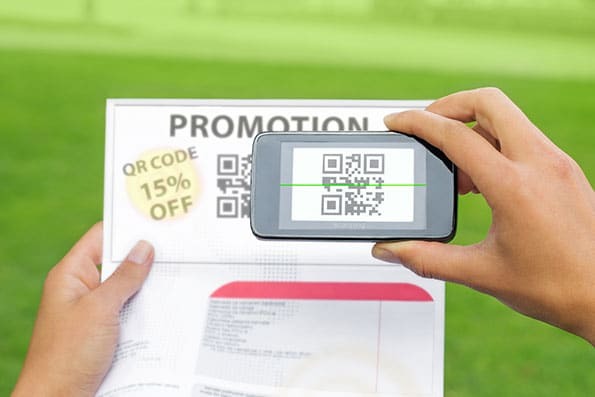 Business hours usually work best, or if you’re planning a weekend sale or service, you may want to consider sending mobile coupons to your target market on Friday and Saturday to get the best take-up of the offer. Both SMS and MMS offer a great way to deliver mobile coupons, although bear in mind that MMS, while offering your customers a richer experience, will cost more. Keep the information you send easy to read and action, and always ensure that the coupon states clearly what the offer is for. Be sure to include any applicable terms and conditions, and make sure that the customer knows exactly how to use the coupon. The idea behind mobile coupons is to drive sales for a specific reason, either to drum up sales or promote a new offer. It’s therefore important to keep your offer within a specific timeframe and ensure that the end date of the promotion is clearly visible on the coupon. Using an app will allow your business to collect data on your consumers’ behaviour, thus enabling you to send coupons that can be personalised based on their profiles and purchase history. This means that you’ll be much more likely to send timely and welcome messages to your target market. By using beacon technologies you can communicate with your customers based on their location. Almost 40% of mobile owners in the US access digital coupons via their smartphone or tablets, with almost 50% of these users wanting retailers to send them discount coupons when they are in the vicinity of a store. Furthermore, a recent study by Inmar found that 70% of consumers would like you to send them coupons for the products they purchase the most. Offer rewards to loyal customers and/or those who subscribe to your social media, and share their recent purchases with friends. This will increase customer retention and can be made easier by using NFC, QR, and push notifications. Add coupons to your social media which can be redeemed either online or instore, and don’t forget to blog about these to make sure that your customers get to hear about the latest promotion. Coupons can also be posted to free coupon websites to get your offer out to even more people. Keeping up to date with the latest ways to pay, such as Applepay, is one way to keep ahead of your competitors and offer the fastest and easiest way to make a purchase. You may also want to consider placing NFC stickers or QR codes in various locations around the store where customers can collect coupons and reward points.